Exceptional custom 2892 sq ft home built in 2008. Great views of mountains and valley. Minutes to town, yet very private. Quality upgrades of grantite, tile, harwoods, formal dining, spacious master suite with oversized walk-in closet and jet tub. Dual heat pumps, great patio for private BBQ's. 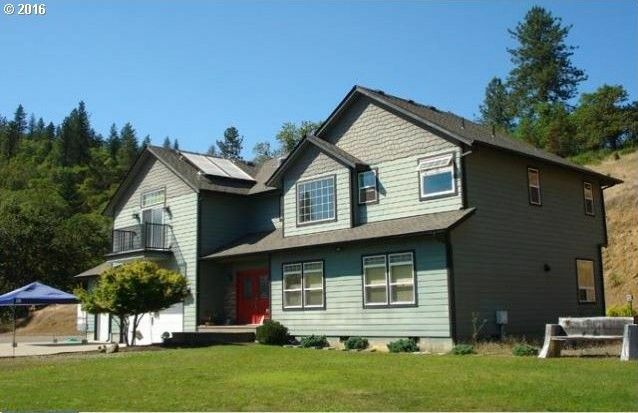 Solar water heater, energy efficient,plenty of paved parking, security system, exceptional well, 900 sq ft triple garage.